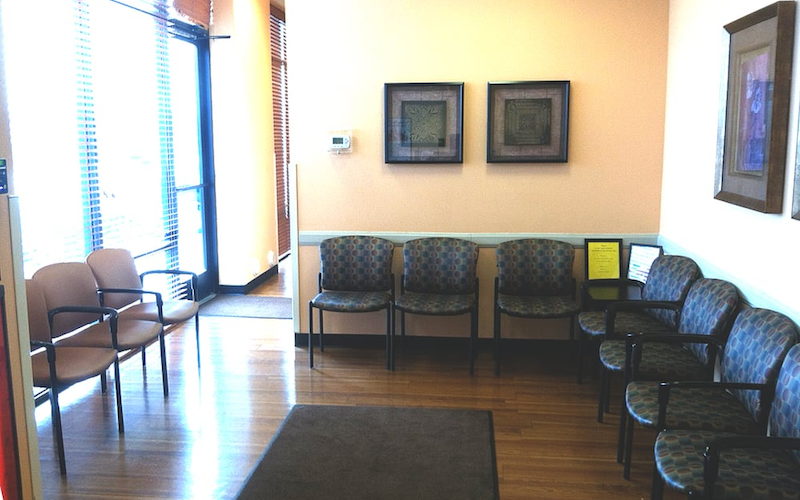 As part of the larger NextCare Urgent Care, this clinic has affiliates with the closest other clinic being in Chandler about 3.4 miles away and is open today from 8:00am to 8:00pm. Recognized favorably amongst their patients, NextCare Urgent Care, Chandler has an average rating of 4.7 stars out of 5 based on 1932 total ratings. Staff was great and we experienced a very short wait time. There was trash on the floor in the waiting room, however, which was the one negative aspect of the visit. Everyone was very kind. They were very “patient” Lol answering my questions. Everything was done in a very timely manner. They got me in so fast and treated me so well! Thank you so much! I'm disabled, and it was nice to be treated with kid-gloves for once. If my experience is like this the next time, I wouldn’t go anywhere else. They made me feel like a person, they took pity on me. I felt better just talking to them, very knowledgeable. Thanks again for taking care of me, I needed it. They are very friendly and get to you right away. Everyone was so nice and treated me so well. The MA I forgot her name but she pointed out my Shane Dawson shirt and we got to talk a bit about it while she was taking my vitals which put me at ease. The person that did my X-ray and some of the bloodwork needed was also very nice and empathetic. The PA Petrong was very professional and nice and to the point with my care and all the options he gave were very considerate and took into account how I felt and what would be best for me. Thanks! They are my primary care doctors. Until I can find a replacement for my recently retired primary care doctors. Great PA! Very professional and polite. Great experience! Made appointment and was taken back right on time! It was easy to set up a wait/arrival time. They were running on time, even with others walking in. Staff was friendly received good care. They have taken the place of my primary care physicians, since both my doctors have retired. Friendly staff. Physician was nice and explained things well.